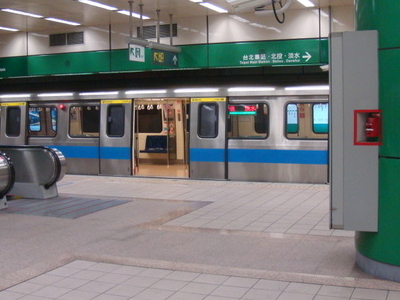 The Taipei Metro Xindian Station is the southern terminus of the Xindian Line located in Xindian District, New Taipei, Taiwan. Public art for the station is titled "Heaven, Earth, and Man" and features many sculptures around the entrances. Designed by Takashi Tanabe, it was selected through open competition and cost NT$6,700,000. 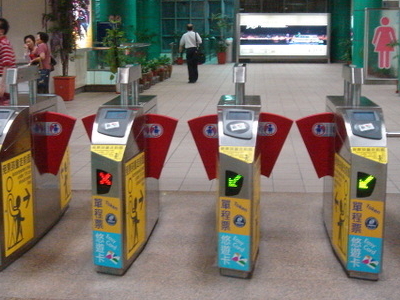 Here's the our members favorite photos of "Metro Stations near Xindian District". Upload your photo of Xindian Station! Do you know this place? Make me an Ambassador!